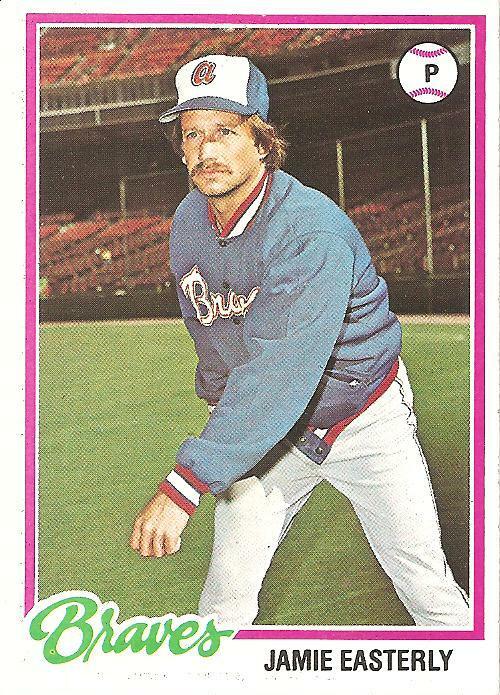 I looked up Easterly because for some reason I thought he was a first rounder pick (turns out it was he was a second rounder) and I saw he only twice topped 70 innings in his 13 seasons. That’s long time to pitch so few innings, especially back then, when relievers like Mike Marshall were around. You’d think he wouldn’t have lasted that long if he wasn’t good enough to top 100 innings even once. Maybe the high pick status helped his cause. Adrian Devine was also on that team. It seems that having guys named Jamie and Adrian on your roster wouldn’t strike fear in the heart of opponents. I like how he couldn’t be bothered taking off his jacket for the picture. I wonder if there is even a glove on his other hand.